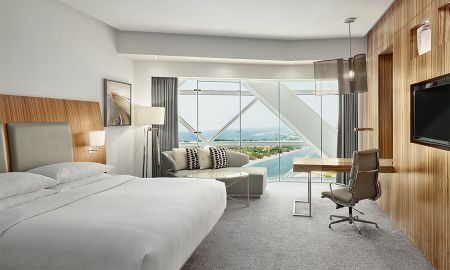 The Hyatt Capital Gate Abu Dhabi is an iconic building which holds the Guinness World Record for the world’s ‘Furthest-Leaning Manmade Tower’. 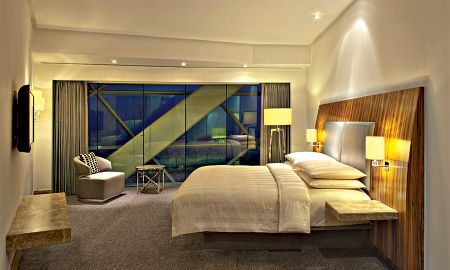 An architectural wonder, the Hyatt’s guests can experience superb panoramic views thanks to its striking lean. 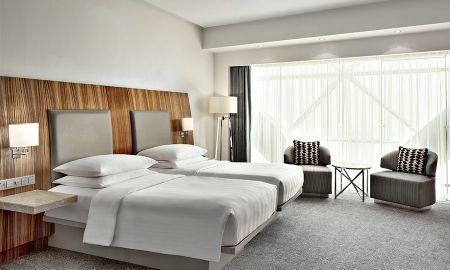 The hotel's 189 guest rooms feature luxurious contemporary décor, complemented by floor-to-ceiling windows and state-of-the-art amenities throughout. Guests of the Hyatt Capital Gate Abu Dhabi can sample delectable Mediterranean flavours at 18 Degrees, the hotel’s signature restaurant. 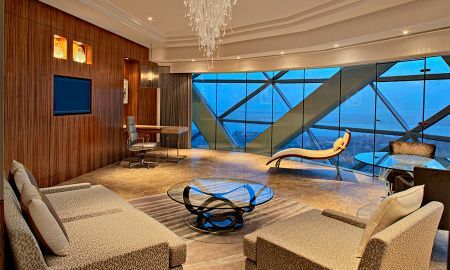 Or, they can opt for the Lounge: an elegant-yet-relaxed venue that offers the perfect location for both afternoon tea and evening drinks, as well as serving some of the finest food in the city. 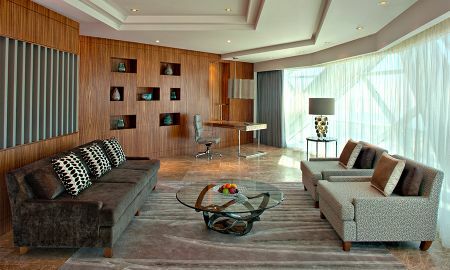 The hotel’s Rayana Spa overlooks the city from the 19th floor of the building. As well as the elevated oasis, guests can take advantage of the Hyatt's additional wellness amenities, which include a fitness centre and suspended outdoor pool. 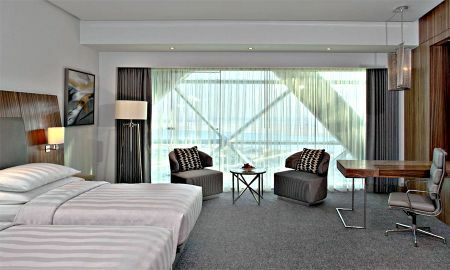 The hotel is situated 20 kilometres from Abu Dhabi International Airport, within the city’s embassy district. The Yas Marina Circuit and Ferrari World are a 30-minute drive from the hotel, and the Sheikh Zayed Grand Mosque is just 5 kilometres away.